In January, we polled our readers about their top professional goals for 2018 and with 23% of the votes “focus more on work-life balance” was the top result. Unfortunately, for many workers, that’s much easier said than done. From fear of falling behind or missing deadline to worrying about how they will be perceived if they ask for time off, there are many reasons employees may lose focus on their work-life balance. It’s no secret that for today’s workers, maintaining a healthy work-life balance is becoming more important than ever. According to Gallup, 53% of workers say a job that provides better work-life balance is “very important” to them. 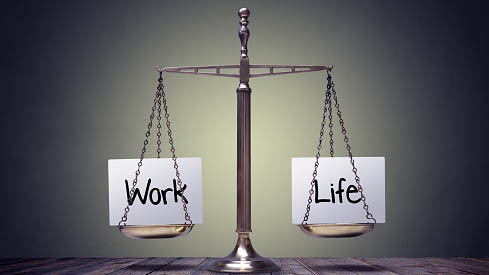 And in a survey from FlexJobs.com, 72% of respondents ranked work-life balance as the most important factor when evaluating a job opportunity. In fact, they ranked it higher than salary. As a leader, you set the tone for your team. 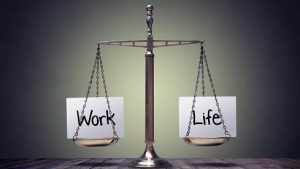 So, it stands to reason that if you don’t make focusing on your own work-life balance a priority, your employees may follow suit. Here are three ways you can help set a positive and productive example of work-life balance for your team to follow. Don’t keep it a secret if you plan to take some time for yourself away from work. By sharing your plans with your team, it will help them be more comfortable taking a few days for themselves when they see their leader making it a point to get away from the hustle and bustle of a busy workplace. Not only will planning your vacation time well in advance set an example for your team, it also makes it more likely that you will actually take that time off. According to research from Project: Time Off, “a majority (52%) of workers who say they set aside time each year to plan out their vacation days take all their time off, compared to just 40% of non-planners” and 54% of workers the left vacation time on the table in 2017—that equates to 662 million unused days. Rome wasn’t built in a day, and it definitely wasn’t done alone. Achieving great things requires bringing together the necessary resources and not being too proud to lean on others for support. It’s in a high achiever’s nature to want to do it all, but if you truly want to set an example of how to take control of your work-life balance, it’s important to show your team how to properly delegate. In addition to showing your employees that it’s okay to ask for help, delegating your leadership responsibilities shows you trust them to maintain productivity and creates opportunities for up and coming leaders to build their experience and take on higher-level leadership tasks. In the end, you have to draw a line making a clear distinction between where work life ends and your personal life begins—both for yourself and your employees. That includes coming to an agreement about what is expected of them outside regular work hours. For example, if you are emailing employees all weekend about project updates or with new initiatives you want them to take on, they won’t feel like they are able to truly detach and will stay in work mode when they should be focused on their personal lives. How do you show your employees that you support a healthy work-life balance? Let us know in the comments section below.